With the new EcoContact 6, Continental has launched a high technology summer tyre that delivers substantial improvements in terms of rolling resistance, mileage, steering precision and braking distances. Compared to its predecessor, the newcomer offers 20 percent higher mileage, 15 percent lower rolling resistance, even more precise handling and shorter braking distances on both wet and dry roads. Tyre review data from 9 tyre reviews averaging 73% over 66,714 miles driven. 2019-04-04 - What is your opinion on Continental EcoContact 6 in compare to Continental Premium Contact 6? I need advice for 205/55/16 Kia Ceed '07. Nice , very nice and comford for my polo 9n. Very stable when i drive for 120-150 kmh at motorways , warm early at town but note is very soft for long distance every day use . Fine for daily use at town and a cool trip every weekend , thats all . Have you driven on the Continental EcoContact 6 tyre? Please help millions of other drivers make an informed tyre choice and pick the correct tyres for their car by submitting your review of the EcoContact 6. I bought these to replace my PremiumContact 5 after six years and about 40k km (half the year i use winter tyres). Compared to those EcoContact 6 surprised me on rolling resistance and comfort. After about 2k km i noticed approx. 2-3% less fuel consumption. Road shock absorbance was astounding to me (i have a small car); almost like i improved my suspension. Road noise was also excellent; my kids for the same speeds think we are going slower. Last great positive was handling over bumps: because they seem to absorb shocks in an excellent way, encountering a bump at a turn resulted to excellent behavior; very surprised. Didn’t drive much over wet yet to infer a conclusion. On the negatives: i find steering a bit more num over the PremiumContact 5. I think spirited drivers should turn their head away from this choice (the tyre is not targeting them anyways). To summarize, an excellent tyre on what it promises: fuel economy, comfort with good safety. Excellent tyre that provides the best handling and comfort to your car . Low road noice and direct wheel feadback. Bought a brand new car and they came on the car as new. Surprisingly like the other review on here they have only between 6 and 6.5mm on them brand new. They are not very comfortable either and transmit bumps in the road into the and are noisy. Dry grip is average at best as is wet grip. A few years back I replaced a different continental tyre set on my car at only 6000 miles! the wear I expect to be terrible as on these. Previously I made a set of goodyears last 30,000 miles a BMW 320D so definitely not my driving style causing the wear. Once these are worn I will certainly not replace them with the same junk Continental. As an organisation they should be ashamed. Low tread depths and poor wear probably to get through tyre tests with good scores. If you are reading this review and consider these tyres I would say DONT. There are other brands out there that are well priced with better grip, better comfort, more new tread depth and better wear! I bought a pair of these for the front of my car and drove them approximately 14 miles home today. I have measured the tread depths and found them to be approximately 6.5 mm. The Continental Premium Contact 5 which were removed had done about 28000 miles and had worn down to approximately 3 to 4 mm. These tyres were original equipment on the car and I am pretty sure the tread depths were of the order of 8 mm when they were new. When I have bought quality tyres in the past, they have generally had around 8 mm of tread. If the tyres wear at the same rate, it appears I will have to replace them at a much lower mileage. 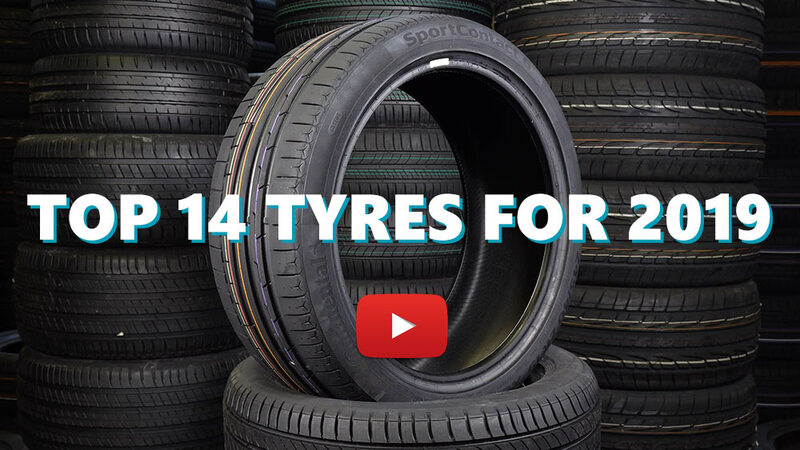 It is possible that the new tyres will wear at a considerably reduced rate. However, I am sceptical and suspect that I will have to replace then at rather less than 28000 miles. Are manufacturer's quietly reducing the life of their tyres for commercial reasons? This practice is surely environmentally unsound. More used tyre casings will be produced for a given vehicle mileage. Greater stress should be placed on tread depth (and longevity) of tyres when they are advertised new. Perhaps a statement of the tread depth in the description should be legally required. This would help to sort out the tendency of tyre manufacturers toward selling tyres of reduced tread depth. I will try and add a further review when I have had the tyres for a bit longer.